Monty Williams, once contemplated suicide. The children at the basketball camp in Soweto, South Africa, looked like American inner-city kids, with one difference: Hardly any wore shoes. And Monty Williams of the Orlando Magic wanted to do something about that. The eight-year NBA veteran had traveled to South Africa during the 1998 Lockout at the urging of his pastor from his days playing for the San Antonio Spurs. Monty originally went to help conduct basketball clinics and other ministries organized by a pastor there. But the bare feet bore the longest-lasting impression. So Williams recruited his best friend, former New York Knicks teammate Charlie Ward, to help buy shoes for the kids. Thousands of South African children now have shoes because of their efforts. Monty loves to help others because he's been given so much in life - and he has a lot taken away too. His innocence. His health. His status as The Man. 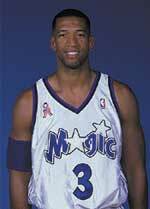 On a Magic roster filled with names like T-Mac, Grant, Patrick, and Horace, Monty Williams is far from a marquee name. Going into the 2001-02 season, the 6' 8" forward has averaged 6.9 points and 2.8 rebounds a game for four teams. Although his numbers may not be prime fantasy-league potential, he consistently fits the playing rotation as a back-up small forward, being one of only three Magic players appearing in all 82 games last season. The pro basketball cognoscenti have long typecast Williams' contributions. Just peruse those newspaper and magazine scouting reports. The "Comment" lines about him sound a familiar refrain: "Solid leadership in the locker room." 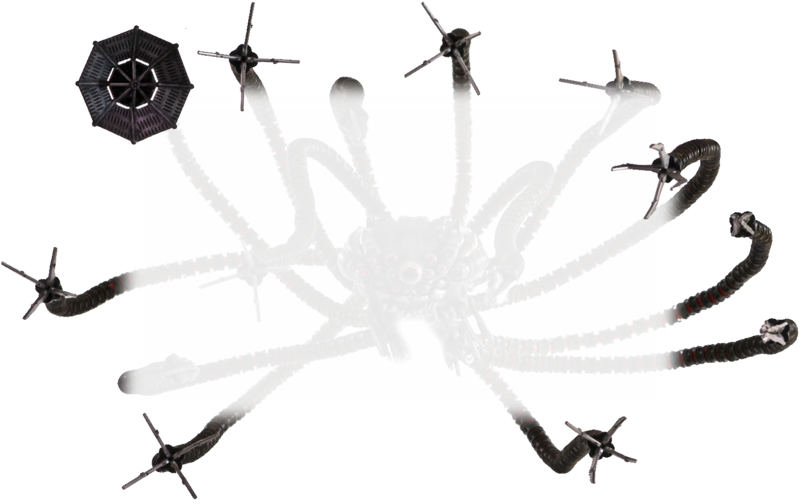 Or how about this: "Strength: Knows how to manage his weaknesses." Faint praise? Maybe. In other words, the chances that Monty will carry this year's Magic are about the same as an Army cadet singing "Anchors Aweigh!" Which is okay with him. "How can I submit to a God I've never seen," Williams explains, "if I can't submit to an authority I see every day? The more I've grown, the more I see that's part of my ministry. People see something different about you, and it gives you a chance to tell them about the Lord." But don't confuse Williams' acceptance of his role as lack of competitiveness. Au contraire - the Magic team slogan is "Heart and Hustle," and Williams characterizes it "by playing hard and trying to be excellent at what I do." he says, "God takes pleasure in that. I have a job, and that's to help my team win games, whatever the cost, as long as I'm not hurting anybody." Monty's mother helped stoke his competitive fire both on and off the court in high school in the Washington, DC, area. She threatened to take away his basketball privileges if he didn't maintain his grades. After straight A's and many basketball honors, Williams enrolled at Notre Dame, where the fire was almost extinguished. After a strong freshman year in 1988-89, Williams was diagnosed with hypertrophic cardiomyopathy, a thickened muscle between the chambers of his heart. Complications from the condition sidelined him for two seasons. Doctors told him he'd never play again. Devastated, he sank into deep depression. "I thought I lost everything," he told the Orlando Sentinel last year, when asked to relive that dark time. "I lost basketball. I lost friends. I lost some of my family who I thought were with me." He also could have lost his life - and not necessarily from the heart condition. Late one night, while walking around a lake on the Notre Dame campus, he stopped, stared into the water and contemplated drowning himself. His girlfriend, Ingrid (now his wife), happened to be out at that same moment - she walked toward him, called his name and comforted him. Ingrid influenced Monty's spiritual direction as well. He has professed faith in Christ as his Savior at age 10, but not until he nearly lost basketball did he get serious about his faith. "[After the diagnosis, Ingrid] was the first one to tell me I needed to have a relationship with Christ," Williams says. Her love and support not only helped him grow spiritually, but it also helped him confront deep emotional pain certain relatives had physically abused Monty in his preteen years. "I've forgiven them, those family members?in my heart," he told the Sentinel. "By the grace of God, I'm here. A lot of times I wanted to quit. Even today, I get down. I have my little demons I want to erase." One "demon" seemingly totally erased today is the heart disorder, which miraculously disappeared - though Magic keep a defibrillator at courtside just in case. He returned to the hardwood at Notre Dame with a vengeance, averaging 22 points a game as a senior. The Knicks made him the 24th pick in the 1994 NBA draft. Wherever he's gone in his career - from New York to San Antonio to Denver to Orlando - Williams has been a faithful role player both on and off the court. When Magic players visit sick children at hospitals or help serve meals at homeless shelters, Williams frequently joins the group. "Monty willingly reaches out to the community, not for publicity but for his honest desire to make a difference in someone's life," says Kari Conley, who coordinates community relations for the Magic. Williams' hunger to help people knows no national borders, of course, as the shoe ministry to South Africa attests. And last year, Williams teamed again with Ward - and with Allan Houston of the Knicks - For "Jammin' Against the Darkness," an outreach to inner-city youth in New York City. Williams is also active in inner-city Orlando, where among other activities he has helped raise money for Teen Challenge, a ministry helping drug addicts turn to Christ to overcome their addictions. With so many needs, so many requests, and only so many hours in a day, Williams carefully chooses his charities. "The first thing I find out is if Jesus is in it," he says. "It doesn't have to be a Christian organization, but it has to be helping people. Unfortunately, a lot of organizations are more concerned about how many people they're going to pack into the gym as opposed to the quality of the message and how [the people] are going to be discipled afterward." Williams also recognizes his need to preserve time for his family, especially considering how much he's on the road with the Magic. "[Monty's] an extraordinary person," Ingrid told the Sentinel last year. "He doesn't think he's a good enough father [to Lael Joy, 3, and Faith, 1], and he's terrific." Monty Williams has many things for which to thank God - a beautiful family, a healthy heart, and a spot on the roster of one of the NBA's most respected franchises - just to name a few. But those who cross his path should be even more thankful, because they're getting back far more from Monty than ever seemed imaginable in the dark days of his youth. Taken from Sports Spectrum, a Christian sports magazine. Used by permission. For subscription information call 1-800-283-8333.